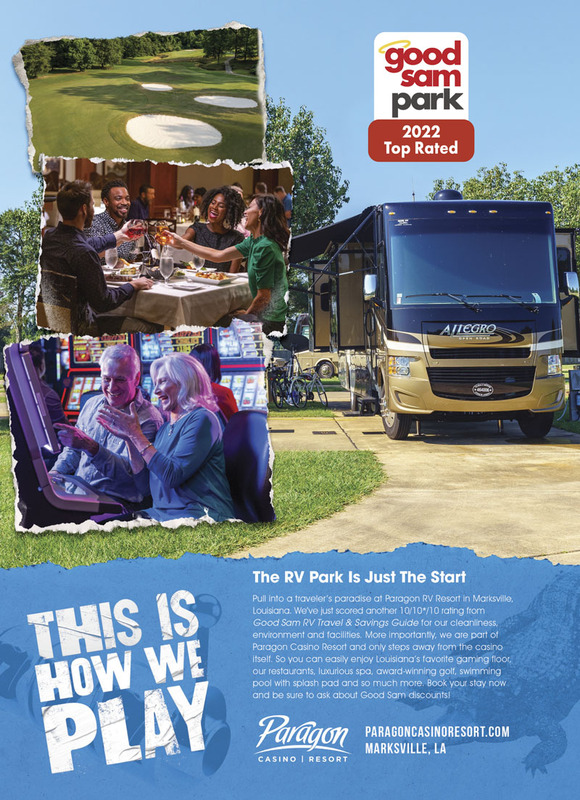 A world-class casino, full-service spa, shops, Kids Quest Hourly Childcare and Cyber Quest Arcade, a 3-screen cinema, 7 dining choices, a championship golf course and live entertainment - Your Louisiana RV park oasis awaits! One and 2 bedroom cabins in the RV Park, and luxurious guest rooms in the hotel. All air-conditioned, heated, flat screen TV's and shuttle service to the casino. This is a nice campground. The site was level, and both the site and the patio were cement. All utilities worked well. The space was roomy. The cable tv had a lot of channels, but some occasionally froze or the sound broke up. The laundry was clean. There were 4 washers ($1.50) and 4 dryers ($0.25 for 10 minutes). During the week the campground is almost empty, but on the weekends it's almost full. We'll stay here again if we're in the area. Excellent RV park. Pros: Concrete level pads with full hook-ups. Excellent wi-fi (3mb) and cable provided free. Clubhouse is large with friendly staff. RV Park also has cabins. We stayed in a regular pull through and they have a few premium sites. The premium sites have barbaque pits and a swing with partitions between sites. Cons: No fire pits, you have to bring your own. No barbarque pits, unless you get the premium sites. WOW!! 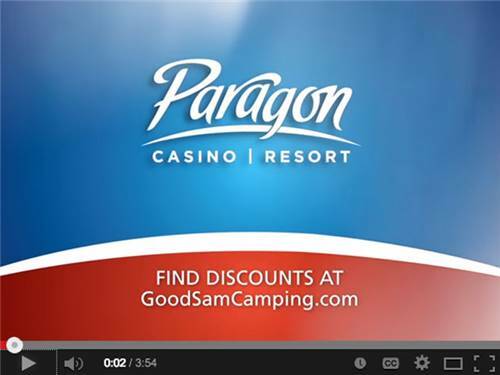 What a nice campground for a casino. The campground was a lot nicer than expected. We went for a concert and decided to bring the camper, glad we did. Most casinos just have a place to park with hook ups. This place had a pool, allows golf carts & is a nice place to bring kids. Casino has plenty for the little ones to do!!!! 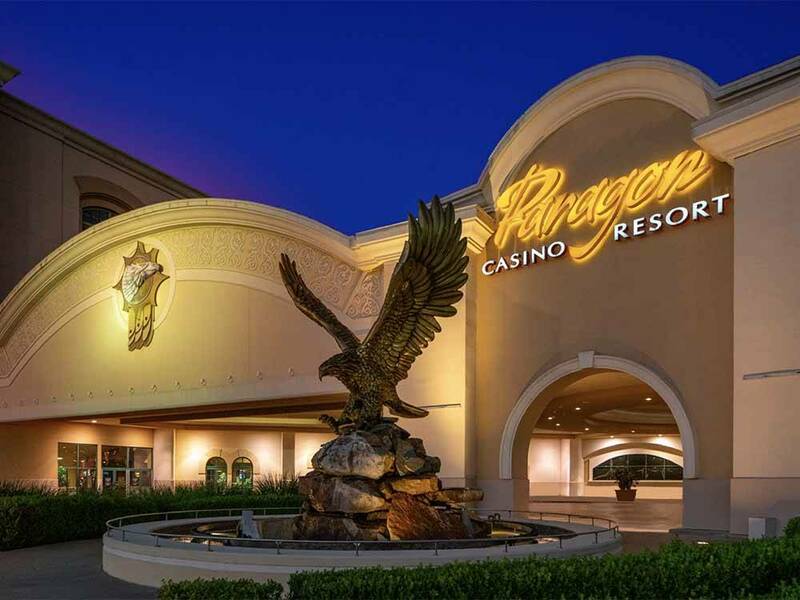 Paragon Casino Resort is FUN for kids and families! Check out Kids Quest & Cyber Quest for safe & exciting place for the kids while you enjoy the casino! Enjoy the Atrium's alligator habitat & learn about the history of the Tunica-Biloxi Tribe & SO MANY resort amenities. Paragon is Your Place to Stay! So many choices! Our luxurious hotel boasts more than 500 well-appointed rooms & upscale suites, giving you the perfect place to recharge, or Discover our adorable, private cabins for you, your family & pets in the RV Park!